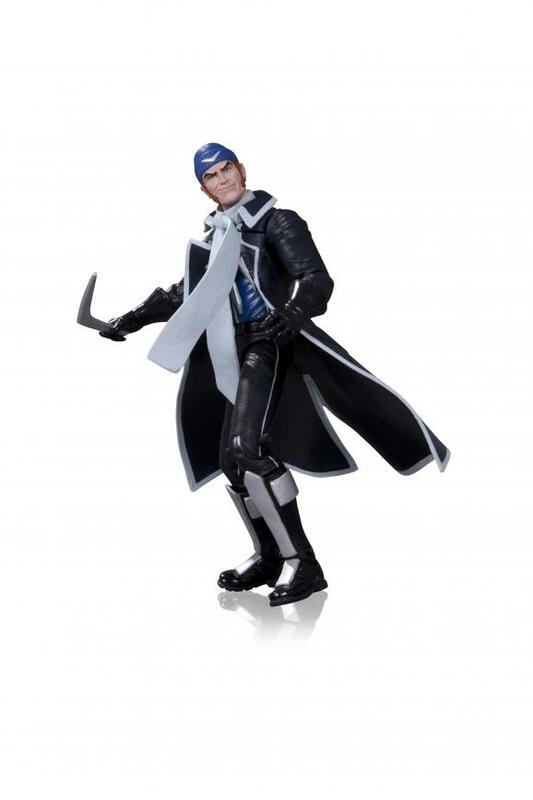 The kind folks at DC Collectibles have sent over a press release detailing new items to be unveiled at San Diego Comic Con 2013. 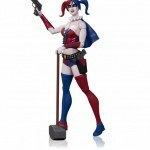 DC Collectibles, the exclusive line of collector items from DC Entertainment, announced today an extensive slate of new statues and action figures leading up to San Diego Comic-Con. 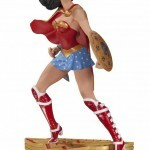 Timed to the convention, DC Collectibles will unveil a new Wonder Woman statue line, Art of War; an all-new action figure line based on the popular Warner Bros. Television series Arrow (Wednesdays 8/7c on The CW); a new blind-box vinyl figures line based on Warner Bros. Interactive Entertainment’s upcoming game Scribblenauts Unmasked: A DC Comics Adventure; and Super Villains Suicide Squad action figures, among others. 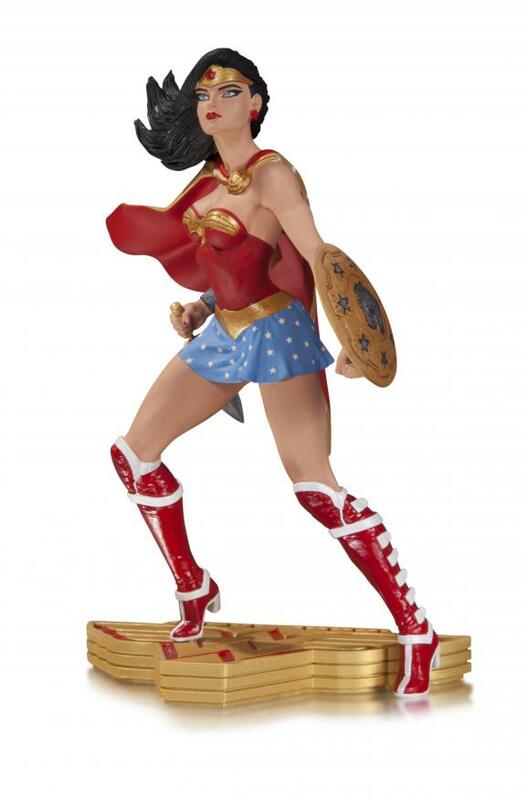 The new products will be highlighted during the DC Collectibles official panel on Thursday, July 18 from 6:00 – 7:00pm PT in Room 5AB. Additionally, DC Collectibles will offer five “Con Exclusives” for sale in the Graphitti Designs booth (#2315) during the convention. The first is a $24.95 Aardman: Superman Action Figure that is 6.5″ tall. 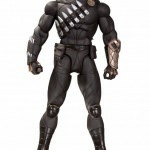 The second is $29.95 and measures 6.75″ tall, Batman Arkham City: Hugo Strange. 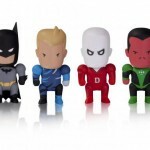 The third, priced at $49.95, Super Best Friends Forever Action Figures measuring 6.5″, 5.45″ and 6.8″ tall, respectively. 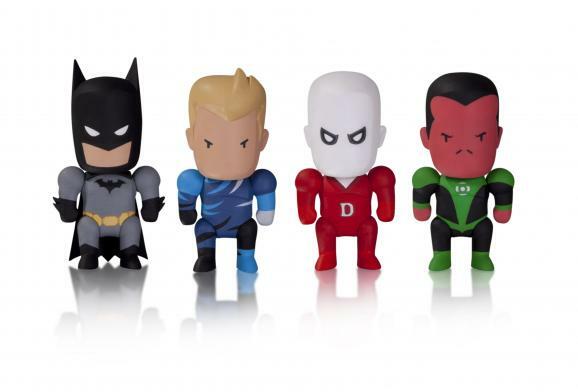 The fourth is DC Comics’ Super Heroes of Green Lantern four-pack set in the 3.75″ scale. The fifth and final is the Man of Steel: Superman Variant 1:6 Scale Icon Statue priced at $129.95. To view these new products and DC Collectibles entire line of toys and collector items visit DC Entertainment’s booth #1915. 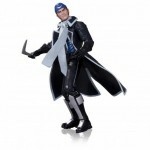 DC Collectibles products are available in comic book shops everywhere and online at www.shopdccollectibles.com<http://www.shopdccollectibles.com>. 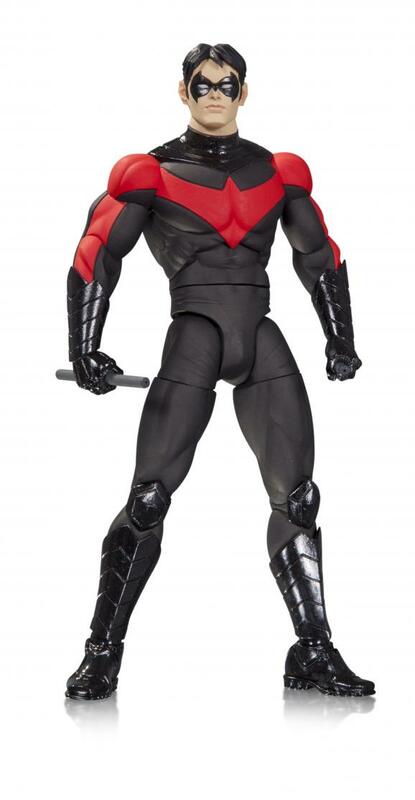 The DC Collectibles official panel will be moderated by Kevin Kiniry and feature panelists including DC Collectibles Creative Director Jim Fletcher, DC Entertainment Chief Creative Officer Geoff Johns, and DC Entertainment Co-Publisher Jim Lee. 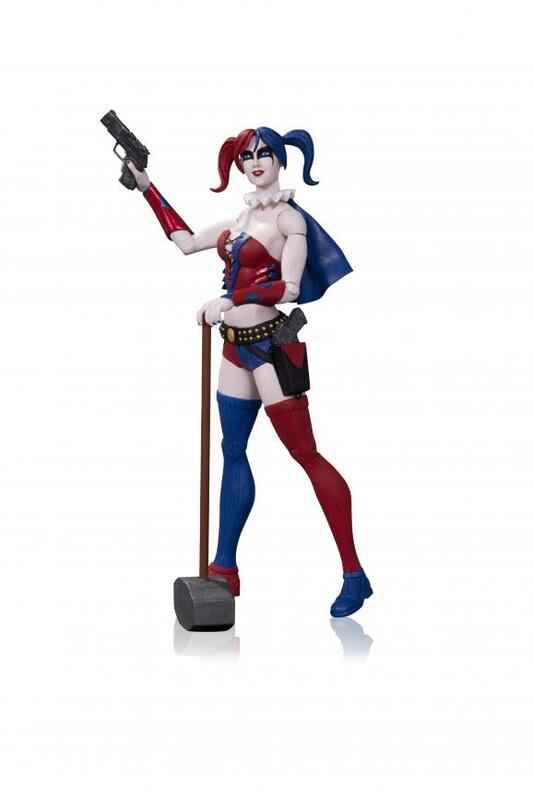 For more information and product announcements visit the official DC Collectibles Facebook page: https://www.facebook.com/DCCollectibles. Images of the new items have been attached to this post, read on to check them out! Some pretty cool stuff. I still need to watch the rest of the first season, but I have a feeling I'll probably get that Arrow two-pack. I remember seeing the statue they did and hoping they would do an action figure at some point. All three of those "Designer Series" figures look good to me. They're the normal size/scale for DCD/DCC, so I guess the additional articulation is what makes them special? The Batman and Nightwing would look good next to my n52 Batgirl, and while I'm not at all familiar with the character, Talon looks pretty sweet. Depending on price I might actually get all three. These Bombshell statues all look great. That said, I'm not sure any of them are quite worth the hundred buck price tag. Damn. 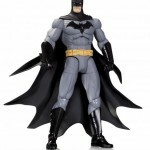 Depending on the articulation I may have to get that Designer Series Batman. I'm definitely getting the Arrow 2 pack. 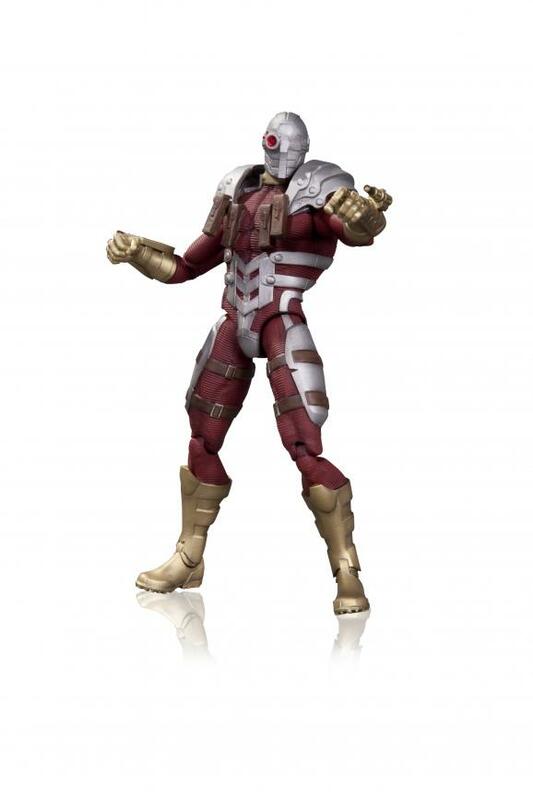 As far as the Suicide Squad set goes, I'm not really a fan of N52 Harley's design but I love that version of Deadshot. I hope with these multi-packs they are cutting the price down to something reasonable. If they are going to charge 75$ or so for the SS 3 pack or 50$ for the Arrow 2 pack, then why not just make them single figures ??? So does this mean we most likely won't see any new Arkham reveals at SDCC? Those Designer Batman figures are AWESOME! And with more articulation than the usual too! 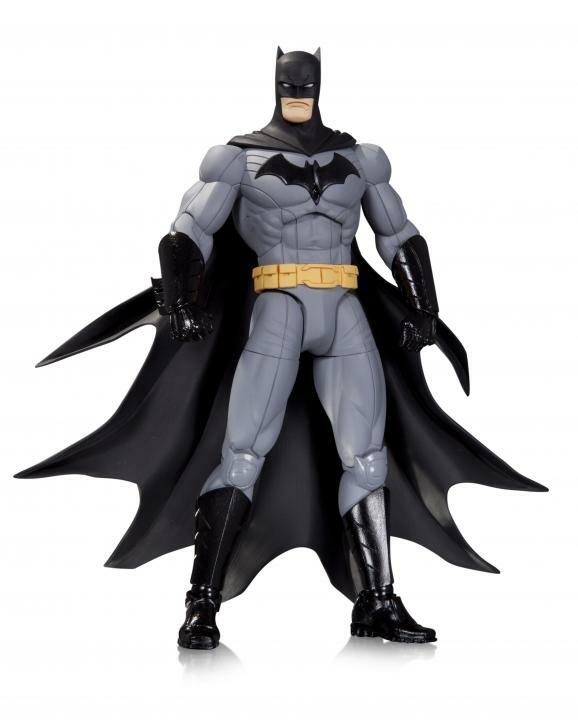 Even though I think it would just only be as "articulated" as the series 4 Arkham Batman, still better than nothing. Also, the sculpt is awesome. Captured Capullo's "animated" style perfectly! Batman's cape is a little weird though. Can't wait for these. when will they fix those legs god dang it. 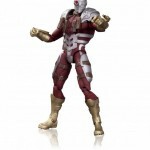 The sculpts looks great its the fact that the legs can only go forward and back and not out like the DCUC figs. Really annoying if you actually want to pose them. By the looks of it DcD is giving their figures new articulation, I'm very pleased with this change and I hope this keeps going. The reason I dont buy them is because of poor articulation and no fun value. Now I can see the improvements and it is good. I'll be buying this soon as they hit stores well of course not he statues. Are they still making the 3.75ers con exclusives or has that stopped now? Not that it makes much difference as apart from my over priced comic shop I'll never see them anyway. 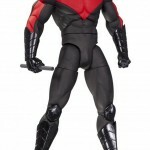 It looks like New 52 Nightwing, Batman, and Talon have new hip joints similar to the new Marvel Legends style hips plus they also look to have ab crunch, waist twist, what looks to be double jointed knees, ankle joints, bicep swivel, elbow joints, wrist swivel and pivots, neck/head ball joints. 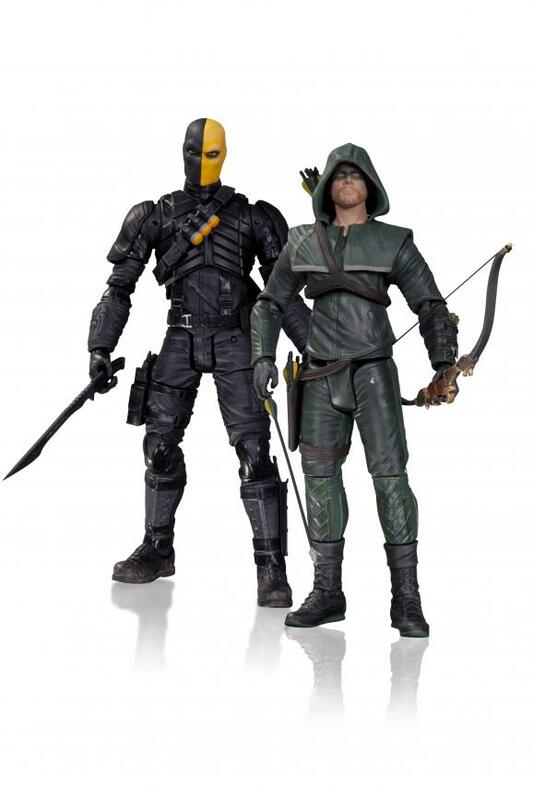 Hmm... it looks like Arrow: Oliver Queen & Deathstroke are more articulated as well, but with different style joints. 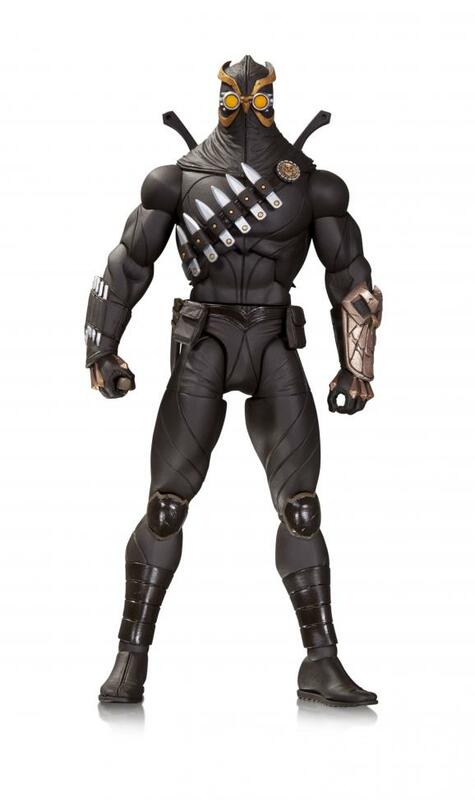 The hips look like they are very similar to DCUC hips and NECA style elbrow. 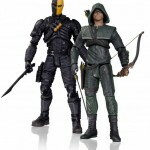 This is probably a dumb question, but is the Arrow/Deadstroke 2-pack a SDCC exclusive, or is it the 2-pack coming to retail? ARROW 2-PACK????!!!??? Please some one tell me when I can buy these!!!! !